Epictetus (55 – 135 CE) was a Stoic slave who lived in Rome. His master was secretary to the infamous emperor Nero, who supposedly fiddled while Rome burned. After acquiring his freedom, he taught Stoicism in Rome until philosophers were banned from Rome by Emperor Domitian in 89 CE, a ploy to get rid of rivals who happened to be adherents of Stoicism. Moving to Nicopolis, a Greek city between Athens and Rome, Epictetus set up a Stoic school where he taught until his death decades later. Origen, the early Christian historian and philosopher, tells a story about Epictetus when he was still a slave that may be mere legend but became a famous illustration of the aims of Stoicism retold by later philosophers including Hegel. The story goes that once, when Epictetus’ master became angry (presumably at Epictetus for maintaining a stoic attitude in a heated moment), his master broke his leg to punish him. 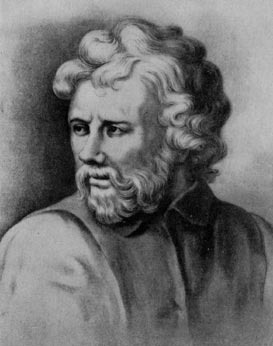 Epictetus, undisturbed by the pain or condition of his leg, responded by criticizing his master for irrationally destroying his own property. Epictetus asked his master how he could hope to be an effective slave with a broken leg. It was not the pain or the imposition that bothered Epictetus, but the illogical nature of the act which did not serve a rational and objective purpose. Note that Epictetus does not say that slavery is irrational, but using slavery inefficiently is irrational, is not in accord with the cosmic Logos. Epictetus was said to have a lame leg by various sources, but, according to the Stoic philosopher Seneca, Epictetus was born with the deformity. Epictetus taught that, whenever we are disturbed, we should say to our negative emotion, “You are an impression, nothing more”, and then decide calmly whether or not we can change the situation for the better. If we can, we should consider what is best for everyone. If we cannot, we should accept our fate stoically. This is similar to Pyrrhonian skepticism, insofar as Sextus would say to all impressions, “You are an appearance, and I do not have to believe you”. Stoics like Epictetus would not be skeptical of all impressions, only negative emotions that arise when we are not in tune with the way of the cosmos.